Chana Wallace was 106 and it was the end, or near enough to it. Her heart was failing. Her family was gathered around. She was in the hospital and wouldn’t be going home again. But that didn’t mean she was going to stop trying. She joked with her great nephew, who was really more like a grandson to her — and engaged to be married — that she would be attending the wedding and, yes, indeed, would be moving into his new house with his new bride once the marital knot was officially tied. “My Bubbie was 106,” says Brian Shifman, the grandson/great nephew. “When someone lives to be 106 it is hard to complain that they should have lived for even longer but, from a selfish perspective, my grandmother should have. And so she did, despite losing almost everything in Auschwitz; despite emerging from the camps to find that her son had also survived — only to be murdered by thugs soon after. 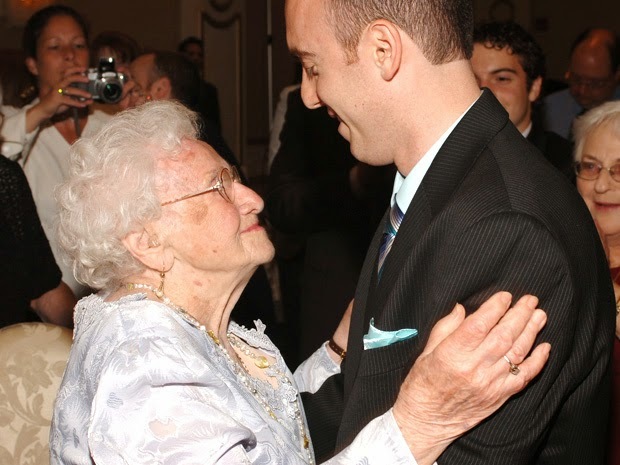 Ms. Wallace came to Canada with little more than a suitcase and a life philosophy she shared decades later with 150 guests at her 100th birthday party.